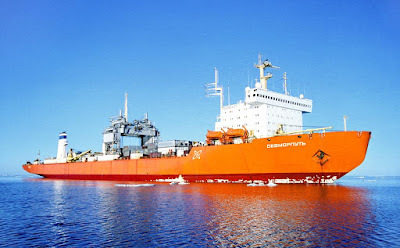 ROSATOMFLOT, operator of Russia's nuclear powered icebreaker fleet, recently announced that the unique nuclear powered, icebreaking cargo ship SEVMORPUT (which means "Northern Sea Route") has completed its shakedown cruise after undergoing a heavy overhaul. The ship still requires two to three months worth of work to finish deck fittings and equipment, but is expected to return to revenue service in early 2016. This ship has had a long history, which included a period of semi-abandonment at the pier in Murmansk (where the nuclear icebreaker fleet is based) during which it was intended at times to scrap the ship. The project to create this ship began in 1978, when Russia had already had at least one nuclear icebreaker in service continuously for almost 20 years. 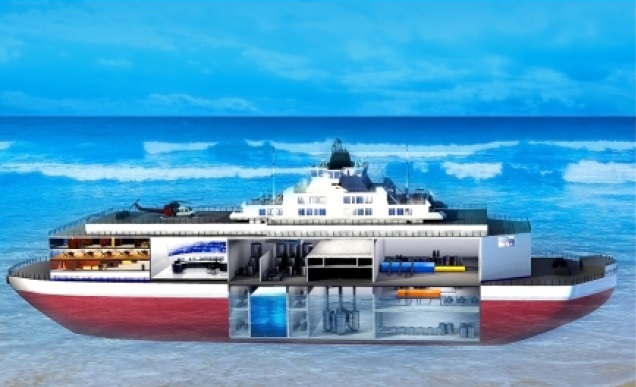 The idea was to construct a relatively shallow draft cargo vessel with a limited icebreaking capability for service on the Northern Route. Construction began January 1982 and the ship was completed in December 1988. 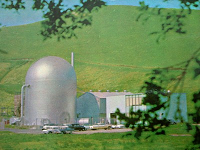 SEVMORPUT has a single KLT-40 nuclear steam supply system, rated at 135 MWt. Turboelectric drive through one screw (with variable pitch blades) provides 40,000 SHP to drive the ship at speeds up to just over 20 knots, although this is considerably reduced when breaking ice -- which the ship can break itself in thickness up to three feet at a speed of two knots. 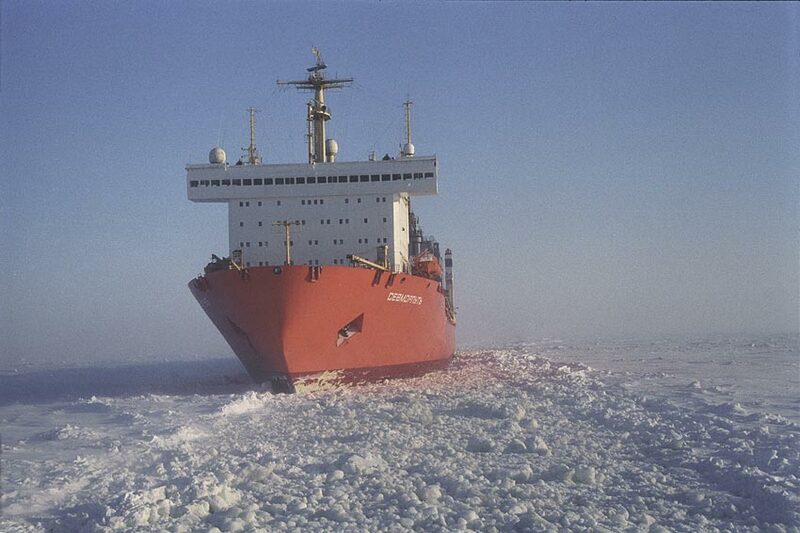 If ice is beyond this thickness, a nuclear icebreaker is used ahead of the ship as with conventional vessels. From January 2007 to December 2013 the ship lay out of operation at Murmansk. At that time the decision was made to refit the ship rather than scrap it; as we now see, the process to return the ship to operation has consumed two years. 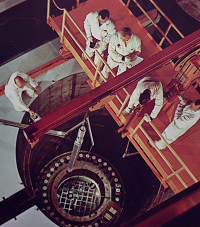 The reactor was refueled, and according to ROSATOMFLOT much of the equipment was disassembled for inspection. 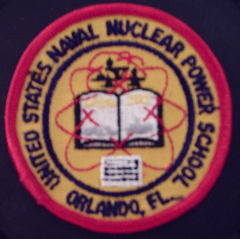 The nuclear plant was given a life extension, and the operators are quoted as saying that the ship will operate for 15 years. There is an important point to be made here, beyond the life extension / rebirth of the world's only operable nuclear powered cargo vessel. That is that the Russians have continuously remained dedicated to the use of nuclear power for the purpose of navigating these difficult sea routes since their first nuclear icebreaker (the LENIN) was placed in service in 1959. That's significant, but what may be more significant in the broad sense is the development that this has now enabled, which is shown below. 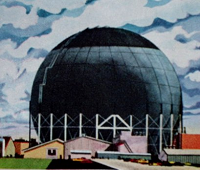 Shown above is an artist's conception of the floating nuclear power plant project now under construction by ROSATOM. 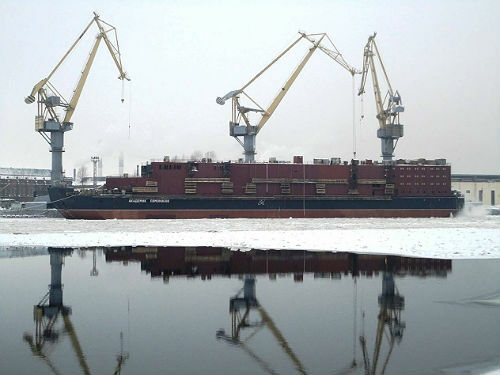 Named AKADEMIK LOMONOSOV, this plant will include two KLT-40S reactors derived from the KLT-40 of SEVMORPUT and the KLT-40M design used on the two "coastal" nuclear icebreakers TAIMYR and VAIGACH. Electric power output of the plant will be 70 MWe. The plant can be moved more or less anywhere in the world there's water access. Above, floating nuclear plant AKADEMIK LOMONOSOV under construction. This project began construction in 2007 at Sevmash but in 2008 was transferred to JSC "Baltic" in St. Petersburg. Originally scheduled for completion in 2015, but this date seems to have been pushed back. The benefits of having a fully mature, developed and reliable highly compact nuclear plant can be seen in the translation of that technology to this vessel. 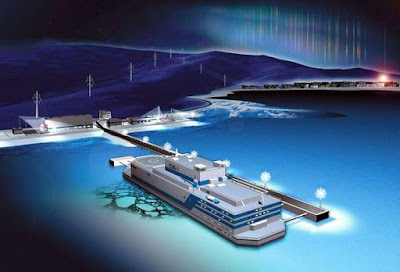 Long time readers of this blog (and my writings elsewhere) will know the history of the original floating nuclear plant, built by the US in the 1960's and will realize that such floating plants have the potential to bring zero emission energy to coastal areas anywhere they can be docked. The Russians are not the only ones developing such floating nuclear plants for provision of power, or even clean water, ashore. 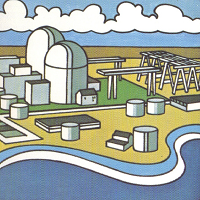 Above, China General Nuclear Corporation's concept for the ACPR50S floating nuclear power plant. Feasibility studies for this project were completed in 2010, with the conceptual design having been completed in 2012. Construction of the first unit is expected to occur shortly (originally having been planned for 2015) and CGN intends to complete and operate the first example in 2018. The plant will be able to provide electric power, clean water, and steam for building heating on shore. The dedication to construct compact, powerful nuclear reactors for ocean going service has thus led directly to floating nuclear plants in Russia; the dedication to develop similar technology for SMR or Small Modular Reactor plants on shore has led directly to floating nuclear plants in China. The message is clear enough that such plants could be an important part of the future energy mix -- and may someday be required for many commercial ships on the vast oceans as concerns about carbon emission, and eventually carbon penalties, come into play. For now, though, we must be satisfied with the fact that the world's last remaining nuclear powered cargo vessel has been pulled from the brink, which surely even by itself is cause for hope. Photos courtesy ROSATOMFLOT, ROSATOM and CGN Nuclear.